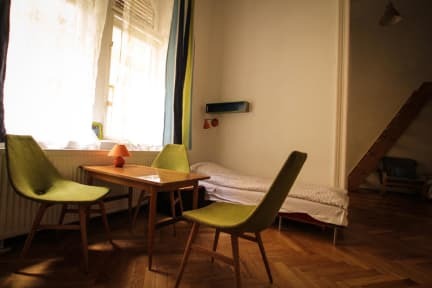 Green Bridge Hostel and Apartments i Budapest, Ungarn: Reservér nu! We arrived at midnight because of a cancelled flight, the staff was very understanding and it wasn't a problem, the staff was generally very helpful and good at English. The bathrooms were clean and the room as well. 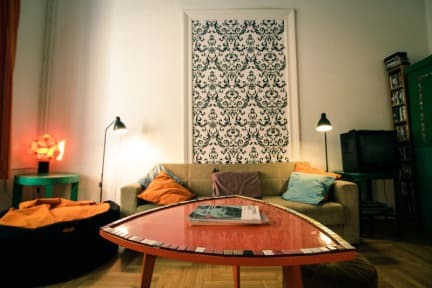 The hostel is close to donau, the city centre and the big food market. We didn't need to use public transportation, because everything was almost within walking distance. The only con would be, that the room (twin room) we had was very small and the mattresses were hard.